I am facing an issue where my external displays are detected but the only black screen with mouse cursor is visible. The problem is exactly as mentioned here but for Windows. These are my OS version and peripherals. 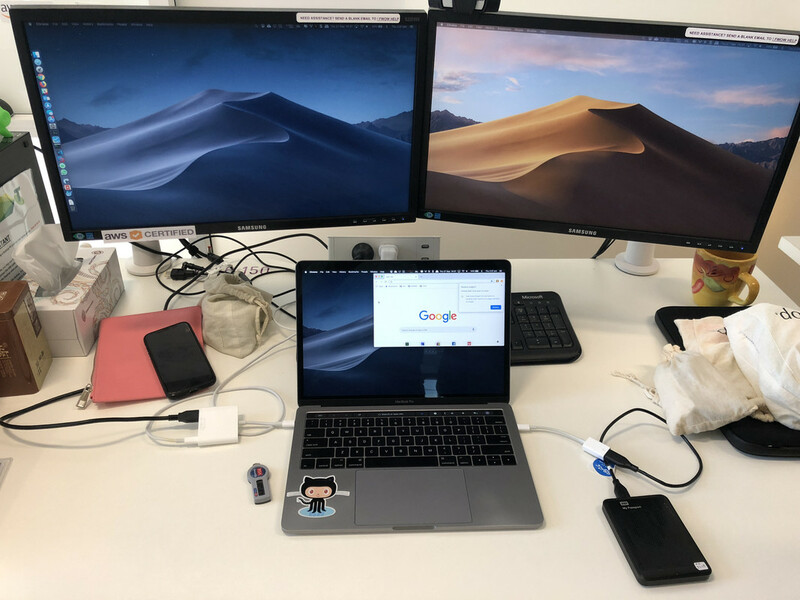 Interestingly, the same dock works perfectly when I connect my office colleagues' laptops. Does anyone know any workarounds to this issue? Last edited by vikas027; 09-28-2018 at 08:47 AM. If you have the workaround driver, it might be you need to grant permissions to the driver somewhere. There should be some detail on one of the threads. It's the one currently on the display link site; think it just went to 4.3 but prior to that it was beta...5 i think. You go to Settings, Security & Privacy, and where it reads 'Allow apps downloaded from:' make sure App Store and identified developers is selected. After install there might be a display link item there for approval; if so, enable it and reboot. Now that Mojave is released, is DisplayLink going to release a driver that solves the black screen issue on 2018 MacBook Pros? I work in a company as a IT support and we have a lot of Macs. The thing i noticed because i told my guys to use drivers 4.3 and not to update to newer versions of MAC OS is that when they did an update today to Mojave the old drivers worked like a charm. They were 4.3 drivers, and the new one are not working. Now the biggest problem is that i cannot install old 4.3 drivers on Mojave cause its not compatible. So right now im testing on MAC Pro 2018 to install 4.3 drivers on High Sierra and then to update to Mojave and see if that will work. That may be the workaround for now, and for the developers at Displaylink to maybe enable installation of 4.3 drivers on Mojave as well. I have done some more tests and looks like there is something new in 2018 model laptops which have not been looked after in all DisplayLink versions of Mojave. Since my exact OS worked on my colleague's laptop, I can rule out any misconfiguration at my end. It has definitely something to do on the new 2018 laptops. Last edited by vikas027; 09-29-2018 at 04:20 AM. Reason: Added a link to my screenshot too.